To help class members understand the latter-day work of gathering Israel and establishing Zion. Davis, Garold N. "Pattern and Purpose of the Isaiah Commentaries in the Book of Mormon." In Mormons, Scripture, and the Ancient World: Studies in Honor of John L. Sorenson. Edited by Davis Bitton. Provo, UT: FARMS, 1998. The last full chapters of Isaiah quoted in the Book of Mormon, Isaiah 52 and 54, are quoted by the Savior himself in 3 Nephi 16, 20, and 22 and are preceded by a lengthy and detailed commentary beginning in 3 Nephi 16. This article expounds on why Jesus would spend so much time on explaining and teaching Isaiah to the Nephites. FAIR Mormon entry on "Deutero-Isaiah." The sections of Isaiah quotes in 3 Nephi are from the later sections designated by some scholars as "Deutero-Isaiah." This entry addresses how the Book of Mormon could contain passages of Isaiah that purportedly were not written until much later. Welch, John​ W. “Echoes from the Sermon on the Mount.” In The Sermon on the Mount in Latter-day Scripture, ed. Gaye Strathearn, Thomas A. Wayment, and Daniel L. Belnap (Provo, UT: Religious Studies Center, Brigham Young University; Salt Lake City: Deseret Book, 2010), 312–40. 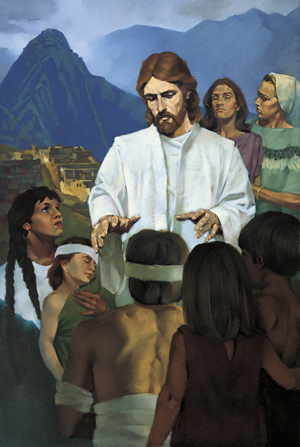 Quotations from the Sermon on the Mount and the Nephite "Sermon at the Temple" are seen throughout the Book of Mormon. He gave the Sermon in 3 Nephi 12–14 and then quoted from it significantly in 3 Nephi 15–28. 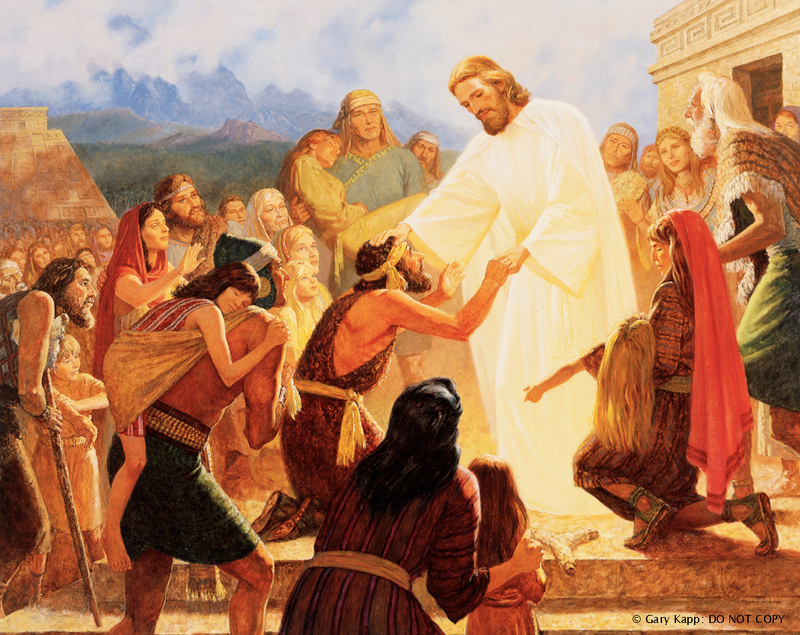 This article helps readers understand the importance of the Sermon on the Mount and how it contributed to 3 Nephi as a whole. Davis, Garold N. "Pattern and Purpose of the Isaiah Commentaries in the Book of Mormon." In Mormons, Scripture, and the Ancient World: Studies in Honor of John L. Sorenson. Provo, UT: FARMS, 1998. 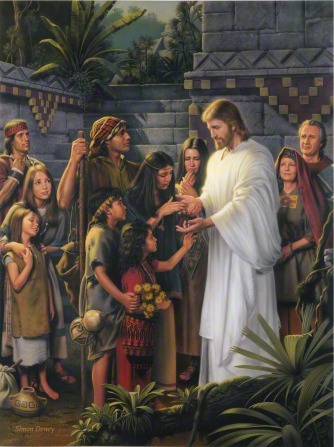 Jesus quotes Isaiah 52 in 3 Nephi 20 and teaches on the gathering of Israel. This article shows the changes Jesus makes to the Isaiah text and how this shows the Isaiah quotations as meaningful, and not repetitive. A prophecy of the Restoration of the gospel is found in chiasmic pattern in 3 Nephi 20-21. Ludlow, Victor L. "Jesus' Covenant Teachings in Third Nephi." In Rediscovering the Book of Mormon: Insights that You May Have Missed Before. Edited by John L. Sorenson and Melvin J. Thorne. Provo, UT: FARMS, 1991. 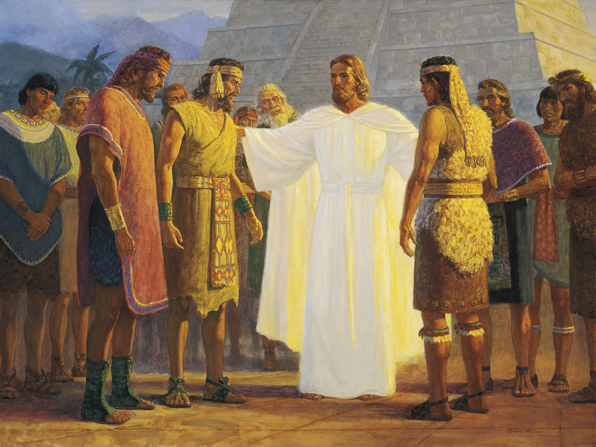 In 3 Nephi 20, Jesus begins a discourse on what it means to be a covenant people. This article explains the doctrines and teachings found therein that are unique to the Book of Mormon. These teachings help Latter-day Saints fulfill their covenants and await the promised blessings of the Lord. McConkie, Joseph Fielding. "The Doctrine of a Covenant People." In A Book of Mormon Treasury: Gospel Insights from General Authorities and Religious Educators, 357-377. Provo, UT: Religious Studies Center, 2003. This article explains the nature of covenants in the gospel and how they have been used throughout history in the Old and New Testaments. 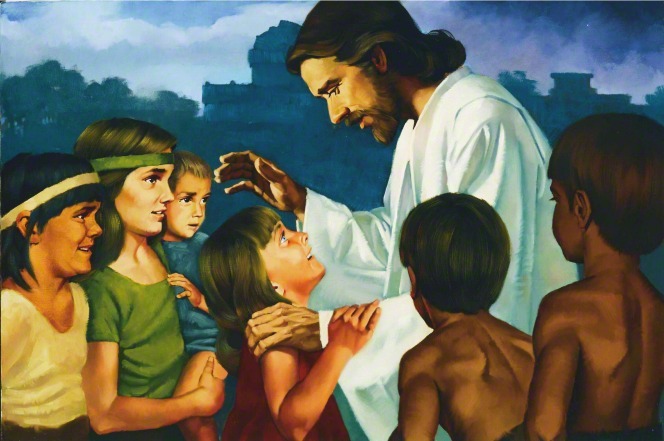 This article focuses on Christ's ministry in 3 Nephi and how Christ made the Nephites a covenant people at Bountiful. 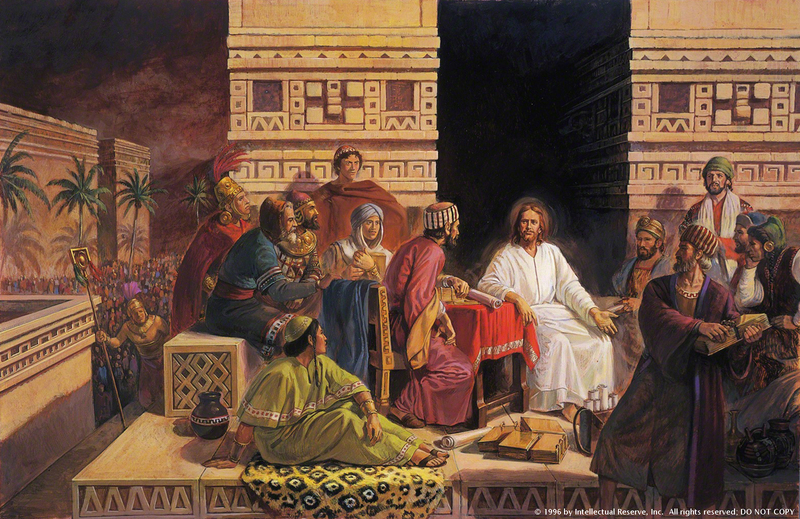 This process included the calling of the twelve, Christ's sermon on covenants, the administration of the sacrament, and the preaching of the gospel. 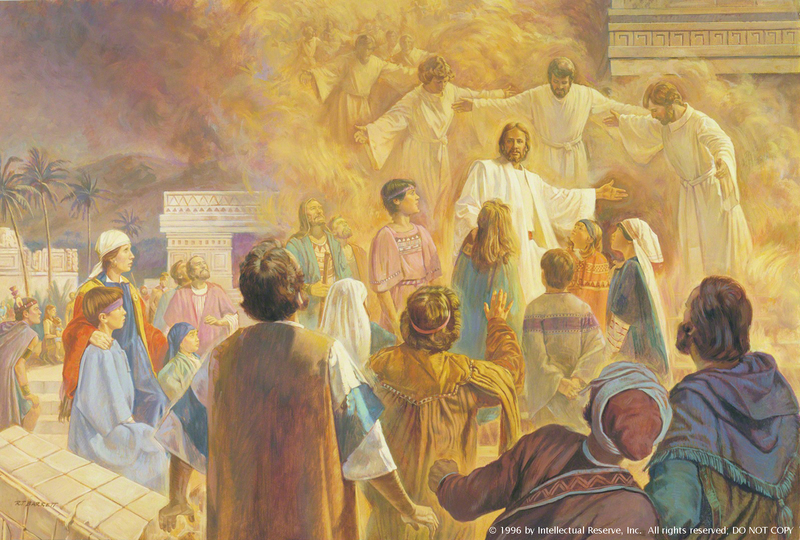 The gathering of remnants (3 Nephi 20: 12-13) and the fulfilling of that divine covenant are occurring in our day. Yet this big picture is obscure to the eye of many who focus upon bargains at supermarkets and rankings of favorite football teams. 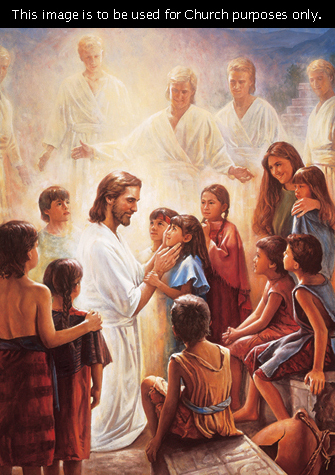 Let us examine our place in God's plan for HIs children and for The Church of Jesus Christ of Latter-day Saint. We are part of a destiny known by relatively few people upon the earth. Rust, Richard Dilworth. "Annual FARMS Lecture: The Book of Mormon, Designed for Our Day." Review of Books on the Book of Mormon 2, no. 1 (1990): 1-23. Rust examined literary aspects of the book that develop the primary purposes set out on the title page. He discussed the elements characteristic of an epic that will allow modern-day Lamanites to trust in the Lord’s deliverance and detailed literary (especially poetic) presentations of covenants in the Book of Mormon. The covenants presented in the Book of Mormon can be found particularly in 3 Nephi. His promises to the house of Israel and the Gentiles can be found in 3 Nephi 20. Strathearn, Gaye. "Christ's Interpretation of Isaiah 52's "My Servant" in 3 Nephi." Journal of the Book of Mormon and Other Restoration Scripture 18, no. 1 (2009): 4-15. 3 Nephi 20-23 quotes Isaiah and refers to a "servant" of the Lord. 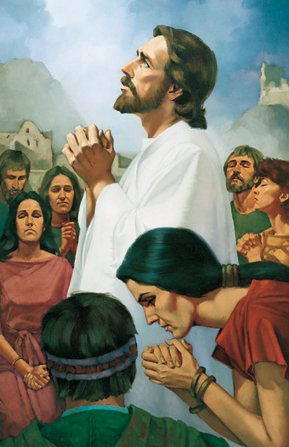 Interpretations for this figure include Isaiah himself, the people of Israel, Joseph Smith, and Jesus Christ. This paper claims that the Book of Mormon itself may be the servant referenced in 3 Nephi 20–23. Both the servant and the Book of Mormon are portrayed as filling the same “great and marvelous” works in the gathering of Israel, reminding the Jews of their covenants with God, and bringing the Gentiles to Christ. Ball, Terry B. “Isaiah’s ‘Other’ Servant Songs.” In The Gospel of Jesus Christ in the Old Testament, The 38th Annual BYU Sidney B. Sperry Symposium (Provo, UT: Religious Studies Center, Brigham Young University, 2009). Terry Ball discusses the various chapters of Isaiah that mention a special "servant" and are often referred to as the "servant songs." While there are many interpretations of who the servant might be, this paper argues that the servant is Jesus Christ. Reynolds, Noel B. "The True Points of My Doctrine." Journal of Book of Mormon Studies 5, no. 2 (1996): 26-56. Reynolds identifies various Book of Mormon passages that specify aspects of the gospel of Jesus Christ, as outlined in his previous 1991 article. These aspects such as repentance, baptism, the receiving of the Holy Ghost, can be found in abundance in the ministry of Christ in 3 Nephi. Rust, Richard Dilworth. “‘All Things Which Have Been Given of God . . . Are the Typifying of Him’: Typology in the Book of Mormon.” In Literature of Belief: Sacred Scripture and Religious Experience, ed. Neal E. Lambert (Provo, UT: Religious Studies Center, Brigham Young University, 1981), 233–44. The Book of Mormon fulfills its basic mission of testifying of Christ through a “pervasive typology” as well as by its direct statements, prophecies, and quotations. 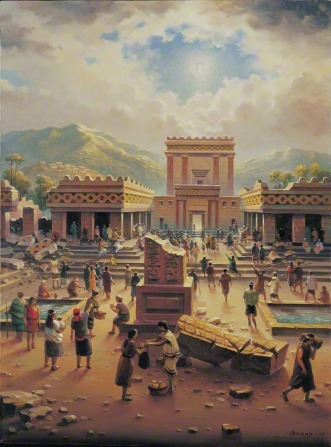 This paper defines typology, discusses Book of Mormon teachings regarding it, and then shows its application to Book of Mormon individuals, groups, and objects—with the golden book itself a type of Christ, the ultimate treasure.